Out of Stock - New Stock Arriving Second Week of February! 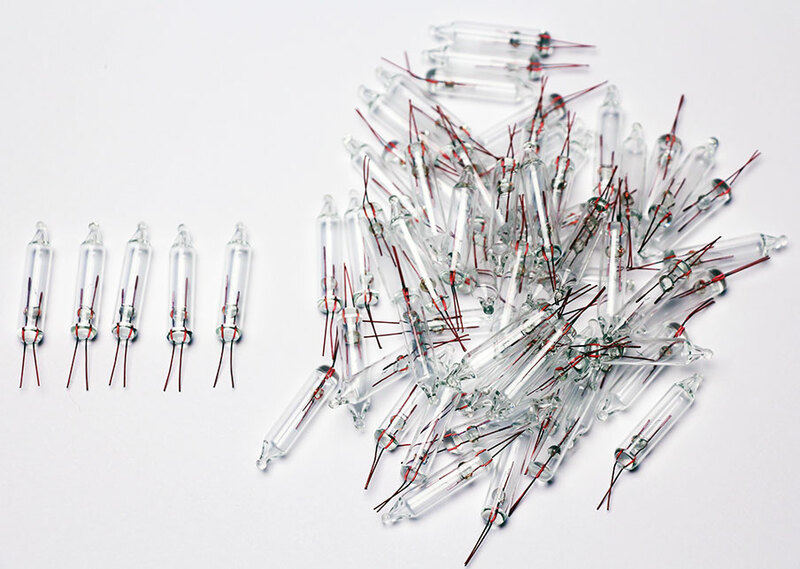 Our 2.5volt Bare Bulb Replacement Christmas Lights fits any 50 or 100 count 2.5v Christmas tree light strings. Perfect for older Pre-Lit Artificial Christmas Trees or discontinued light strings where you can no longer find replacement bulbs. 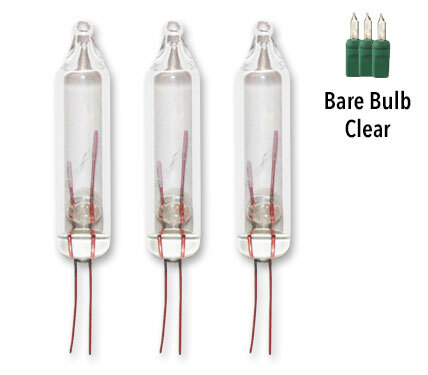 **NOTE** These bulbs DO NOT have a slotted, tapered or pinched bottom! 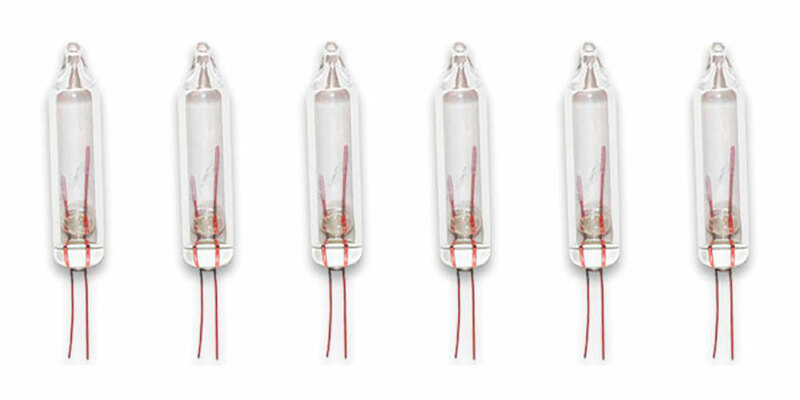 Replacing the light bulbs is easy and just takes a couple of minutes. 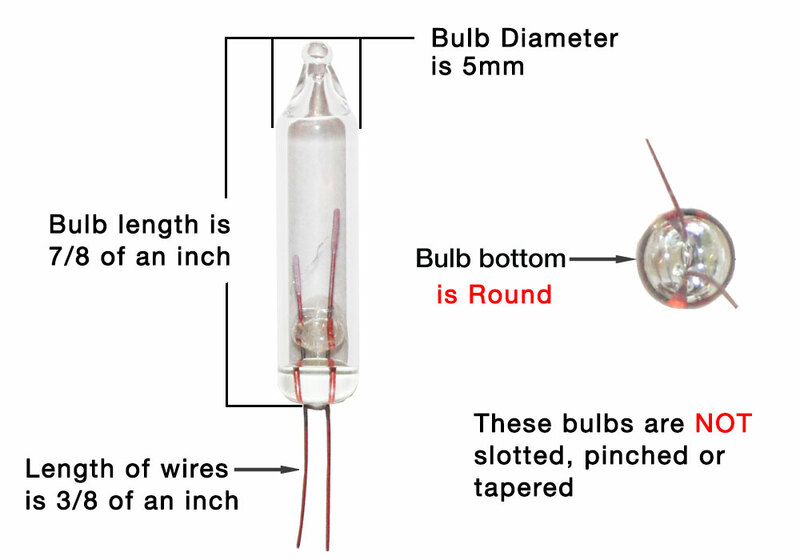 Second Step: straighten the two wires on either side of plastic husk and slide the bulb out.